Ashley Renee Couch, that’s the name of this Proud Mother that thought the best way to let off some steam was to ditch her 18 DAY old infant child in a snowbank. She literally tossed the poor little girl, a witness who was getting off a bus and saw the event take place. Luckily for the baby girl, the witness called 911. Keep reading for the full story. 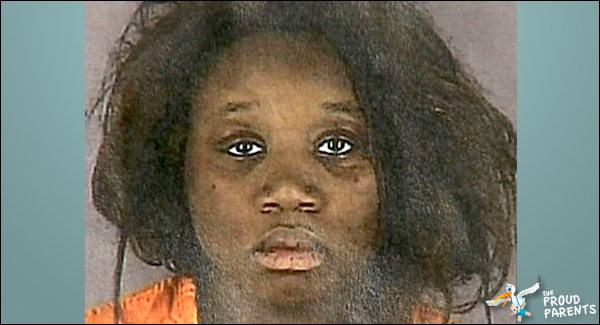 MINNEAPOLIS — Minneapolis police say a mother threw her 18-day-old baby girl into a snow bank. Sgt. William Palmer says a 21-year-old woman and a man were in a domestic dispute shortly after 8 a.m. Saturday when the man fled and the woman followed. About a block away, the woman threw the child into the snow. A witness getting off a bus called 911. The baby was not injured from being tossed in the snow, but was taken to a hospital due to exposure to 16 degree temperatures. Palmer says she was still hospitalized late Saturday afternoon but she is responding well to treatment. He says she will be released into protective custody when she’s recovered. Officers arrested the man for domestic assault and the woman for child neglect.